This week’s installment of Octal Sound Selects is something special. We get things started off slow with J Louis’ remixing Black Atlass – Blonde, combining softly spoken vocals and deep drum hits in this stellar production. From there things start to get loud with HeRobust’s brand new original, just in time for summer, ‘Skurt Reynolds’. This tune has a huge feel like something from inside a giant music festival. We get to hear HeRobust’s monstrous sound along with his powerful vocal ability, ‘Like Skurt!’. Finally we have Gladkill’s remix of the classic Crywolf and Ianborg song ‘Oceans Pt. II’. He gives the track a fresh feel for 2015 complete with low 808s and trill vibe out the A. 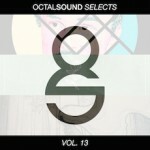 Stay tuned to Octal Sound for more great surprises and click HERE for this week’s free download.